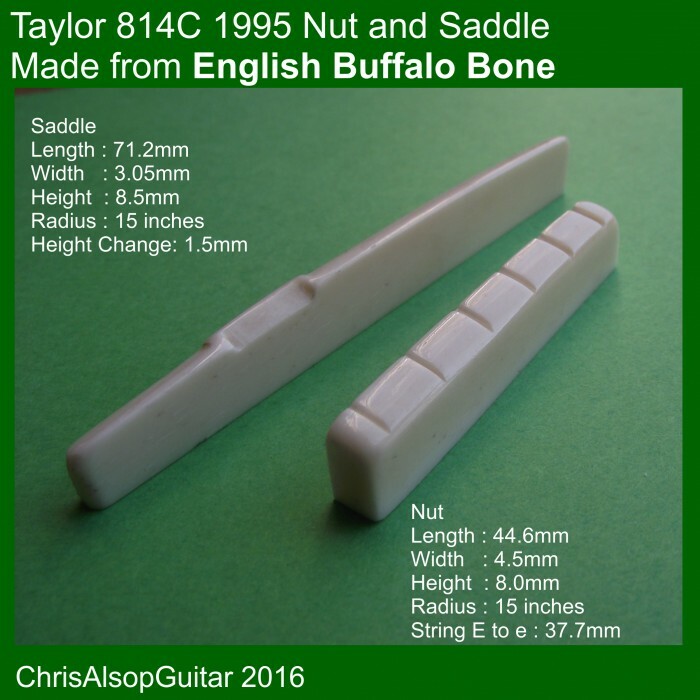 The bone for these components was from Water Buffalo reared in the UK. The material is very strong and has excellent acoustic properties. Length 43mm. Width 6.0mm. Height In Middle 9.7mm. Radius 9.5 inches. Right Handed. String Spacing Even Gaps between String Centres . String E to e centre distance 35.75. Length 42mm. Width 3.5mm. Height In Middle 4.5mm . Radius 16 inches. Right Handed. String Spacing Even Gaps between String Centres. String E to e centre distance 35.75mm. Length 42mm. Width 3.5mm. Height In Middle 4.5mm . Radius 16 inches. Right Handed. String E to e centre distance 35.75mm. 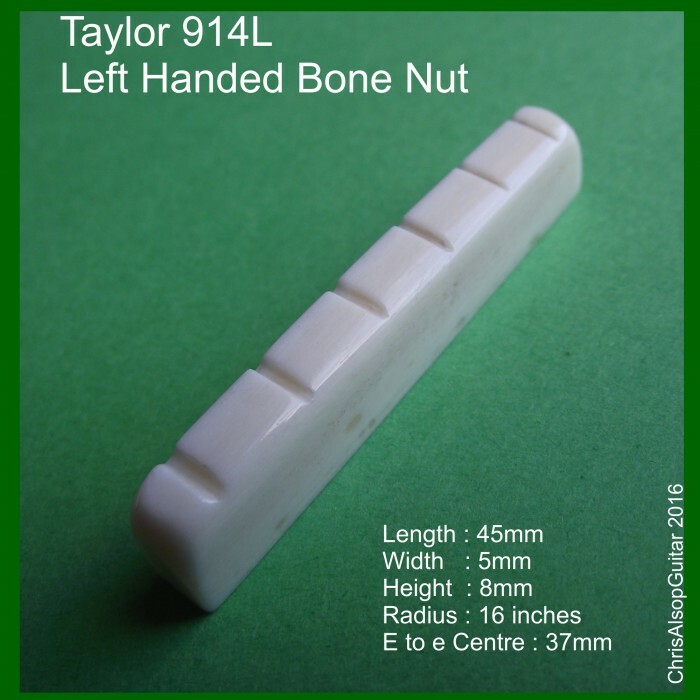 Bone Nut made from UK farmed Water Buffalo Bone. 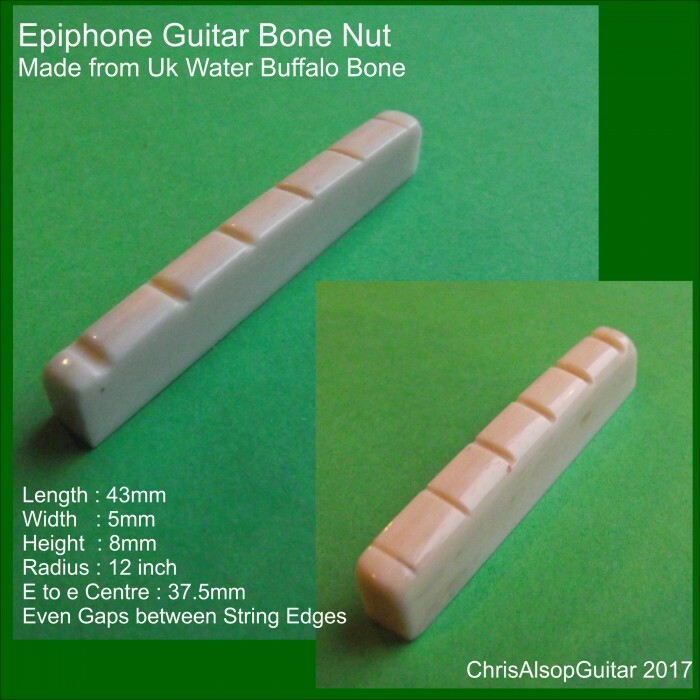 String spacing is even gaps between string centres, which is common on electric guitars. 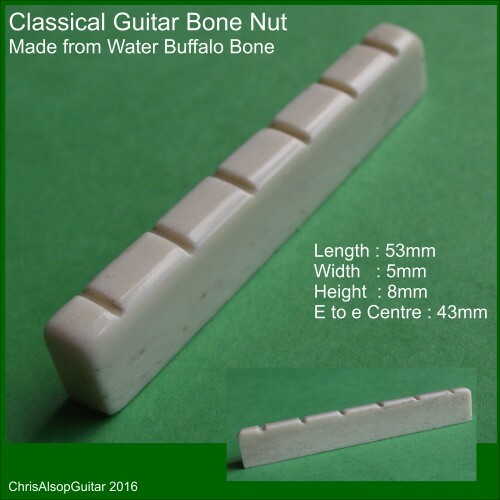 Bone Nut made from UK farmed Water Buffalo Bone. As the original nut was broken, the nut was modelled using customer dimensions such that the customer could then check the model was correct prior to manufacture and dispatch. 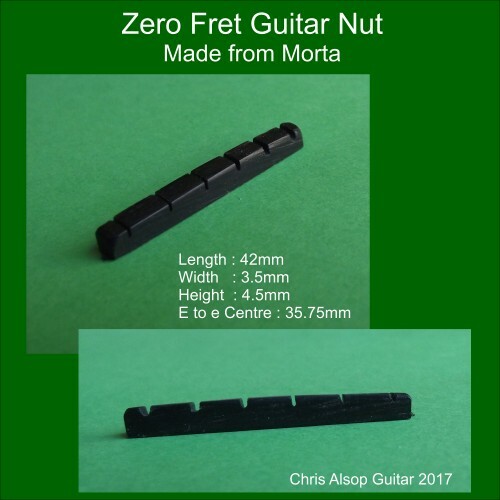 String spacing is Even Gaps between string edges, which is common on acoustic guitars. Length 43mm. Width 5mm. Height In Middle 8mm. Radius 12 inch. Right Handed. String Spacing Even Gaps between String Edges. 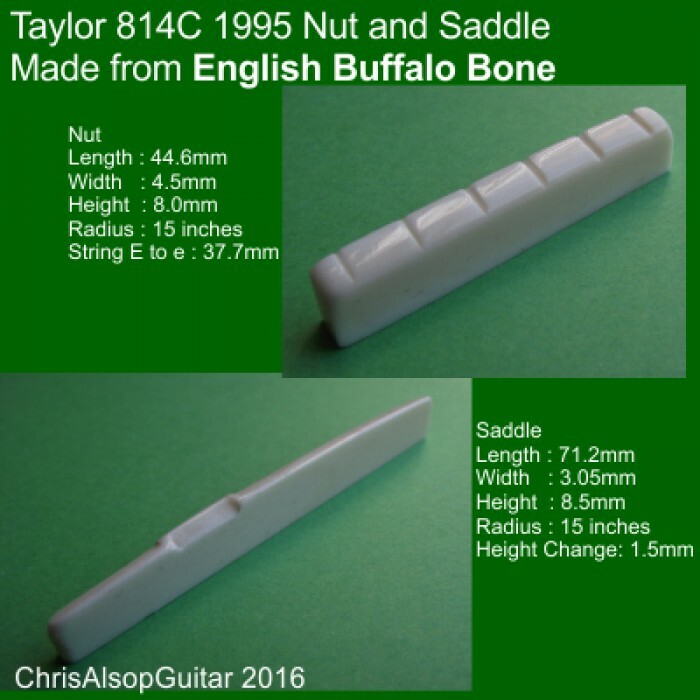 Bone Saddle made from Water Buffalo Bone. 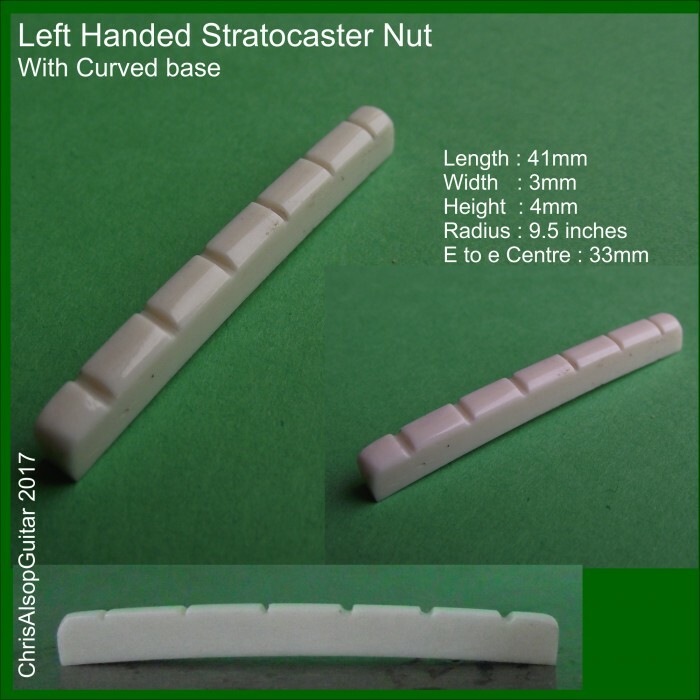 Length 45mm. Width 5mm. Height In Middle 8mm. Radius 16 inches. Left Handed. 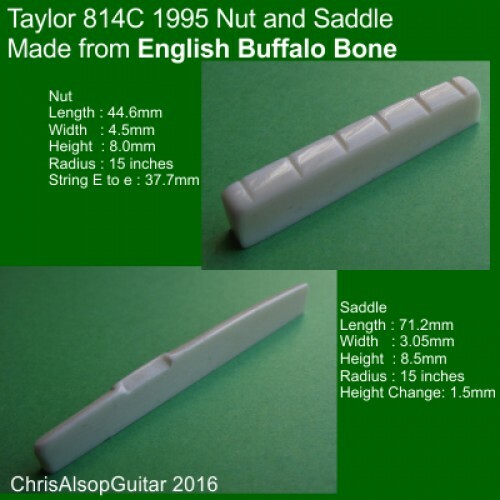 Bone Saddle and Nut made from Water Buffalo Bone. Bone Nut made from UK farmed Water Buffalo Bone. Bone is reknowned to give excellent tone, playabilty and instrument projection. Length 53mm. Width 5mm. Height In Middle 8mm. String E to e centre distance 43mm. The bone for these components was from Water Buffalo reared in the UK. 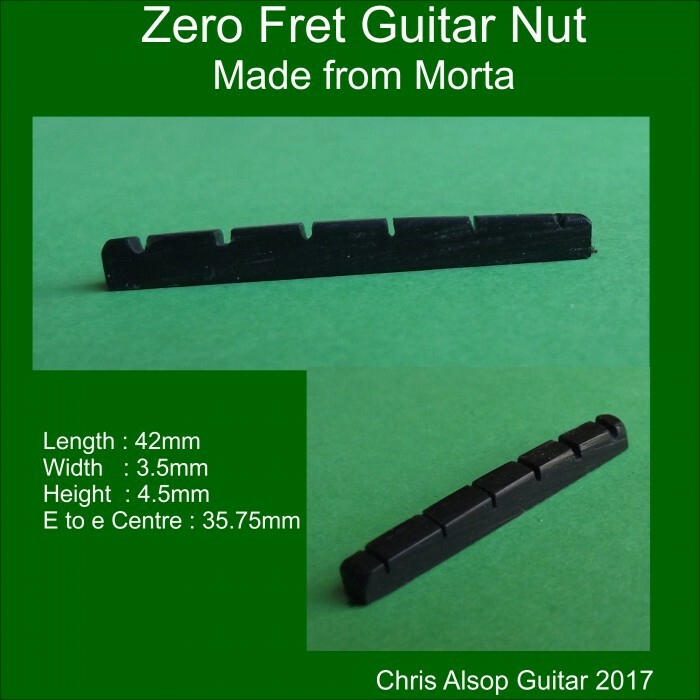 The material is very strong and has excellent acoustic properties. The saddle had Blade Copmensation. Length 71.2mm. Width 3.0mm. 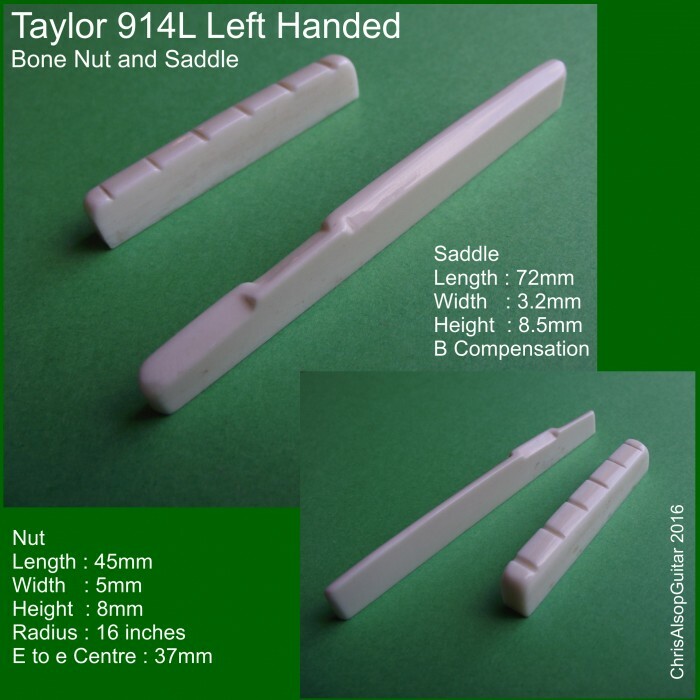 Height In Middle 8.5mm. Radius 15 inch. Height Change low E to high E 1.5mm. Blade Compensation. 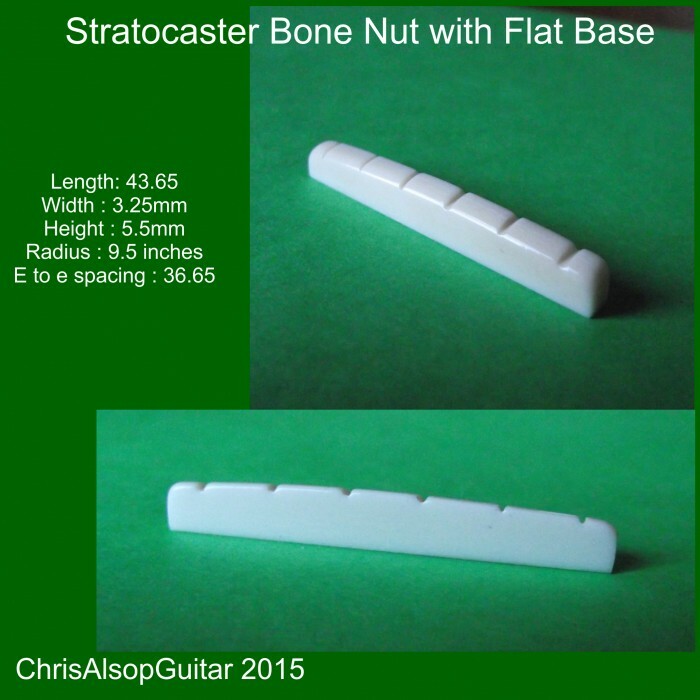 Length 43.65mm. 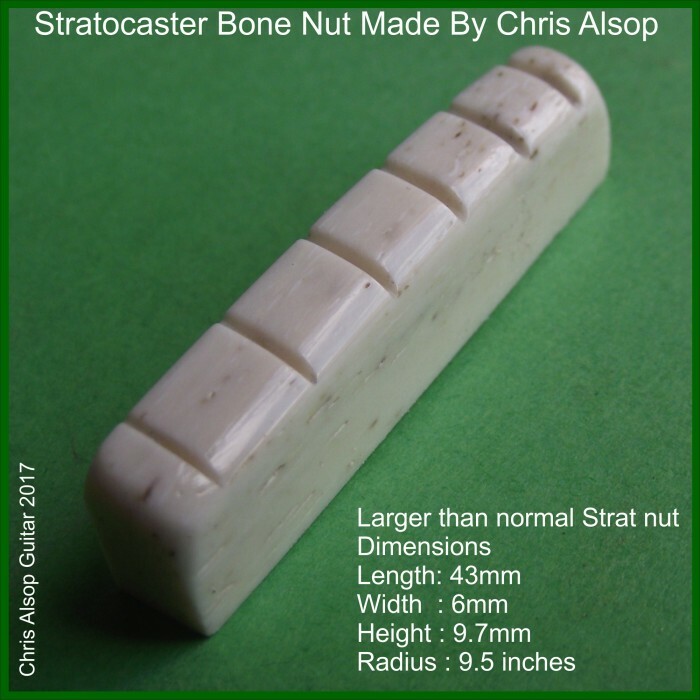 Width 3.25mm. 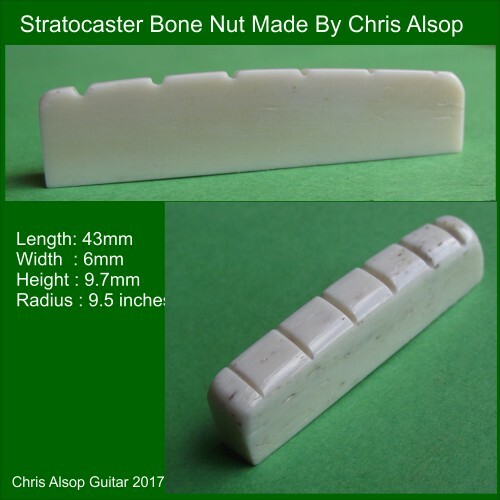 Height In Middle 3.0mm. Radius 9.5 inches. String E to e centre distance 36.65mm.